Please join us and other supporters in asking your representative to support the reintroduction of the Humane Cosmetics Act (HCA). This bill is designed to end the use of animals in cosmetics testing in the U.S. Using animals for testing not only harms and kills millions of innocent animals, but it's bad science. Non-animal alternatives are the present and future because they are humane and more predictive of human responses than using helpless, innocent animals who suffer and die needlessly each year. I strongly believe using innocent animals in cosmetics testing is unacceptable. It inhumanely harms and kills millions of rabbits, mice, guinea pigs, dogs, and other animals, and it is not predictive of an accurate human response. I am urging you to support reintroduction of the Humane Cosmetics Act by contacting Congresswoman Martha McSally and joining her as a co-sponsor to this important piece of legislation. Polls indicate the American public overwhelmingly supports alternatives to cosmetics testing on animals, and the majority believe testing cosmetics on animals is unethical. 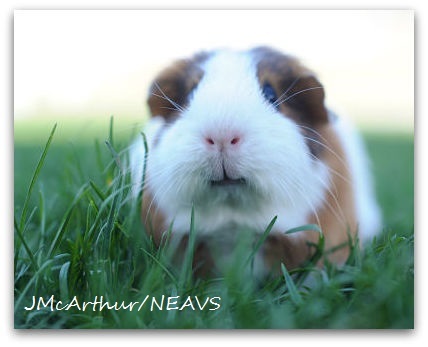 The Humane Cosmetics Act provides you with an opportunity to align the U.S. with the entire E.U. along with numerous countries around the world, which have already ended this inhumane, unnecessary, and unscientific practice. The Humane Cosmetics Act means a kinder world for animals and a safer world for Americans. The changes we are seeing worldwide will provide incentives for researchers and companies to accelerate the development of new testing methods, creating a momentum that will spill over into biomedical research as well. Yes, I would like to receive periodic emails from the NEAVS Team.